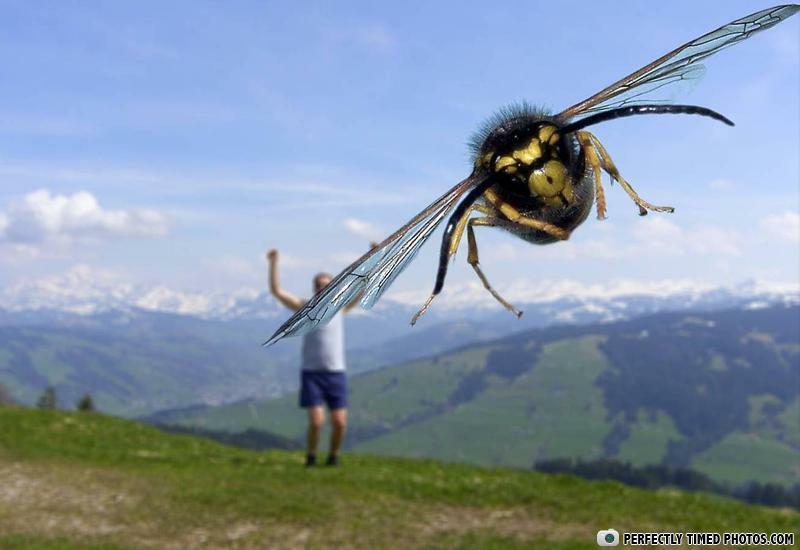 the porportion is off, the size of the bee is too big, considering it's distance from man in the background, and it's distance from the camera bee size = 2cm, distance from camera = 4cm, distance from man = 1000cm actual bee size on photo should be... I'm just fukkin wit you... What's up with the dude's stupid pose? only Rocky can pose like that!! That's what they WANT you to see, but what you're really missing is the guy with llama legs! Pokemon: Beedrill is the winner! It looks photo shopped, but in soviet russia, NOTHING is photo shopped. What do you call a man who laughed at a joke that wasn't funny? A man who gets amused at the littlest things.